We now offer the newest version of EnChroma lenses! 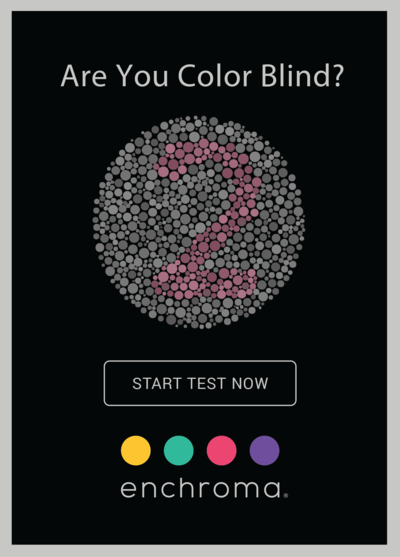 Did you know there are 3 different types of colorblindness, and they can be of varying degrees of severity? The newest EnChroma lenses now offer lenses specific for your type of colorblindness. These unique lenses are designed to help improve color perception for patients with specific types of Color Vision Deficiencies. They are available in non prescription and prescription options with dark and indoor options. We are one of the few offices in the SF Bay Area to offer this amazing technology. Bring your color vision results to our office and our knowledgable opticians will help you find the right type of Enchroma color enhancing lens for you!